Have you got the money already, or will it be part of the deal between the different governments and GM? As for the security recommendations: Isn't it better anyway not to drive a Cadilac or a Chevrolet but let it crunch in the garage? Ceterum censeo, Predictor esse delendam! LOL, nice april joke indeed. 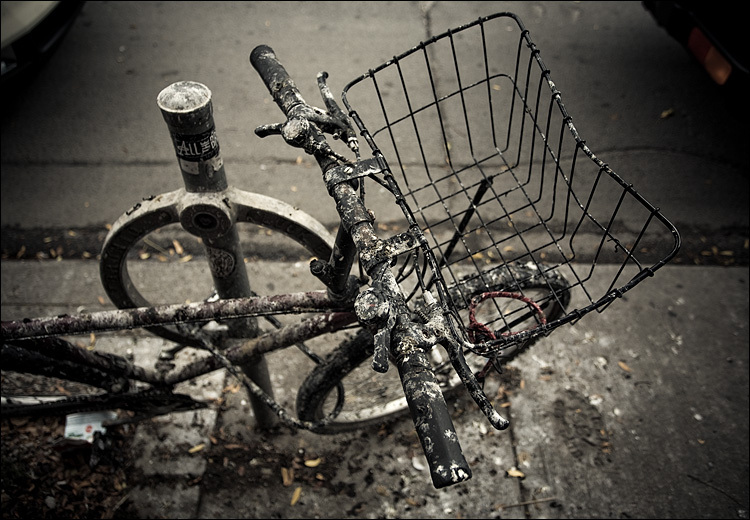 Is it possible to get BURP running with my new bike? This is no joke guys!! Many of the news websites around the world are carrying the story, its breaking news. 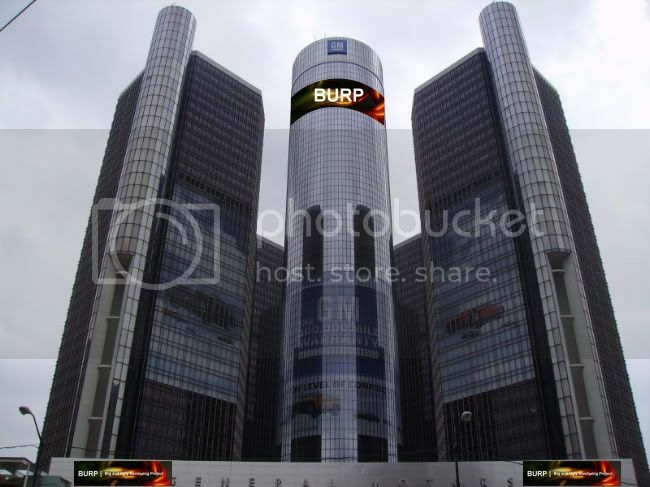 General Motors head quarters in Detroit even has a large banner across the top of the building to announce the new partnership with the BURP project! Just take a look! Image courtesy of CNN news! But it also seems that General Motors will be changing the company logo on all new cars as part of the deal. I've often thought about putting a BOINC box in the trunk, but would have to figure out a way to have the system shut down at a certain point to prevent the battery from going dead... And then start up again once the car was started.